Bianco Electric has served the community since 1986 and our company is extremely prepared for any job as our experienced staff has constructed an image that rivals none for over 30 years. This point of reference couldn’t have been accomplished if not for them. Our Professional Electricians offer electrical repairs and electrical services in Long Island, New York. Bianco Electric repair is here to serve all of your private electrical needs. Our business operates locally in cities all over Long Island, New York and as a local business we are familiar with local law, code, regulations and municipality processes. Our expert technicians handle a wide array of electrical work. This includes investigating existing wiring, machine circuits, spa circuits, running 220 volt lines, roof fans, link outlets, dimmers, switches, cabling, apparatus circuits, spa circuits, security, CCTV, smoke alarms, fire alarms, GFI, outdoor lighting, light fixtures and telephone jacks. With more electronic devices and appliances in our daily lives, some electrical panels may need to be upgraded. Due to all the modern devices we now have in our homes, we find that older homes might not have sufficient power available to handle the increased draw of power. An increase in electricity on a circuit can trip breakers that are fed on the same electrical line which can cause an issue. This can be very dangerous and may cause a number of problems with your breaker box. Upgrading your electric panel and circuit breakers can prevent or resolve your electrical tripping issues and any future issues. You can upgrade your panel for both functional and financial reasons. Modern homes need more power than decades-old homes and businesses. As technology grows, power requirements will continue to increase. Prospective homeowners may look at old panels as a sign of an obsolete electrical system in disrepair. Updating can make a difference for resale. Installing a circuit breaker is one of the simplest ways to remove the hassle from your property’s faulty wiring. Circuit breakers are an incredibly important part of the electrical system, they prevent fires and electrical outbreaks. Allow our expert technicians to ensure your safety by making sure your circuits are working properly all the time. Whether you are in need of circuit breaker installation or replacement services, we are well-equipped to handle the task. In addition, if you are displeased with the location of your meter or electrical panel, our electricians would be proud to relocate the panels to a more convenient location. For all professional electrical services in Nassau County, do not hesitate to contact Bianco Electric. We do not cut corners and always get the job done right. 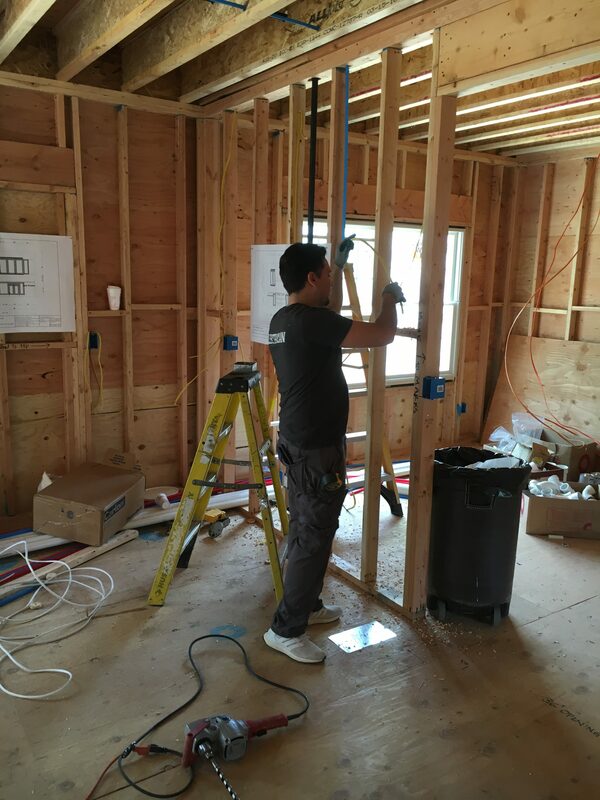 Bianco Electric’s electricians are the highest trained and most experienced electricians in the Nassau County area. Any job from a light switch replacement to a complete rewiring of your home will be done professionally. Plan your appointment today for a free estimate.